Here’s what’s happening in the world of television for Thursday, June 7. All times are Eastern. Marvel’s Cloak & Dagger (Freeform, 8 p.m.): The MCU’s newest small-screen heroes have operated in the comic-book shadows for decades, street-level vigilantes with complementary powers and allegiance to no one but one another. 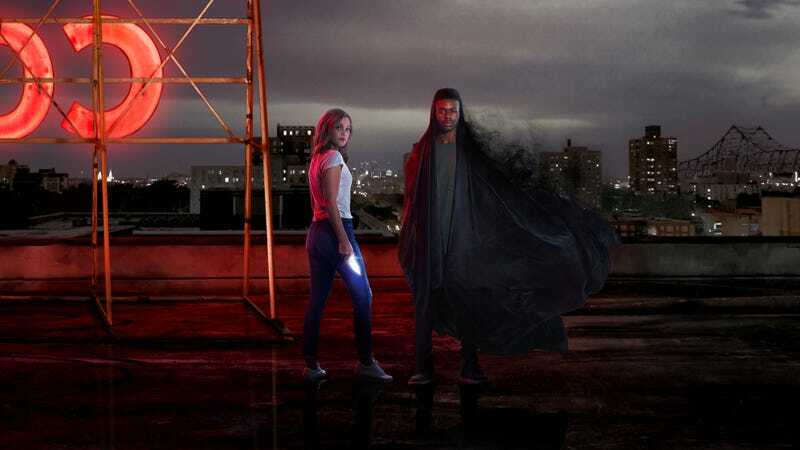 Cloak can teleport, Dagger throws blades made of light, and in this adaptation from Daredevil and Heroes veteran Joe Pokaski, they’re New Orleans teens bonded by a mysterious off-shore explosion—and, since Cloak & Dagger is airing on Freeform, there’s hints of a romance down the line. In his review, Alex McLevy is cautiously optimistic about the series’ propsects, though he wishes it didn’t take so long for Cloak and Dagger to become, you know, Cloak and Dagger. American Woman (Paramount Network, 10 p.m.): No superheroes here, though there is a mention of Lynda Carter’s Wonder Woman in the pilot of this Alicia Silverstone-led Beverly Hills period piece. Unfortunately, American Woman isn’t so much “What if Cher from Clueless was alive and an adult at a time before her namesake did infomercials?”, but more “What if Alicia Silverstone played a fictionalized version of Kyle Richards’ mom in a comedy full of feathered hair and loud patterns?” Request to future episodes of American Woman: If you’re going to cast Silverstone as the humbled picture of West Coast wealth and privilege, then at least give her one “You see how picky I am about my shoes, and they only go on my feet”-level zinger per episode.